The cricket season is upon us, so where's the sun? The cricket season is upon us, which can mean only one thing: summer is officially here. But if it's too cold for you to actually venture outside for some live action, here's how you can enjoy the finest of all sports on your GALAXY Note II. Ah, the sweet sound of leather on willow: as sporting connoisseurs will be aware, the season of our national summer sport, cricket, is now upon us, with the County Championship and Indian Premier League getting under way. 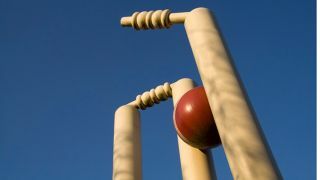 If you, like us, rate cricket as the subtlest and most skilful of all sports, you'll be glad to hear that there are countless ways in which your enjoyment of it can be enhanced via your GALAXY Note II. As a true cricket-lover, you'll want to be kept up to the minute with all the latest scores, results and so forth from around the world – and your first stop for all that, plus excellent features and analysis, should be the thoroughly excellent ESPN Cricinfo, Which has its own app (ESPN Digital, free) nowadays, although you can always, given the GALAXY Note II's unparalleled surfing capabilities, opt for its website. And if your focus is more on what is happening cricket-wise in the subcontinent, you could also try CricBuzz (cricbuzz.com, free). Let it not be said that the England & Wales Cricket Board (ECB) are the bunch of stuffed shorts they are generally made out to be – they, too, have their own, rather excellent, app (TheOtherMedia, free), which contains a wealth of the latest info relating to the English cricket season. Meanwhile, an app which could enhance your enjoyment of watching cricket, especially if the weather is dodgy, is the Duckworth-Lewis Calculator (Robert Fear, free), which removes the fearsomely complicated maths from that esteemed means of calculating required scores in rain-affected one-dayers. Stuck in the changing room due to the inevitable downpour? Your GALAXY Note II, at least, can provide the means of staving off any incipient boredom. There are plenty of Android cricket games out there of which our undoubted favourite is Stick Cricket (Stick Sports Ltd, free). It may not be the most sophisticated or best looking cricket game out there, but it's hellishly addictive. If it's a decent approximation of real-life cricket you're after, World Cricket Championship (Nextwave, £1.88) certainly provides that – along with some mad fantasy power-ups in certain game modes. Beach Cricket (Nextwave, free) is also pretty good fun, and adds a hint of sunny escapism from the gloom of an English summer. Fancy yourself as a walking cricket encyclopaedia? Collected Wisden Cricket Yearbooks since you were a kid? In that case, you can put your knowledge of leather and willow to the test – and take on your mates who also think they are cricket experts - thanks to a number of cricket quiz and trivia apps. Our favourite is Champion Cricket Quiz (Tune Systems, free). Mega Cricket Trivia (Sin Bin Games, free) will also keep you occupied when the weather sets in. And there are even apps which come in handy when you're actually engaged in playing cricket, rather than merely spectating. The mystical art of scoring a cricket match is one of those arcane skills which is passed down from generation to generation, so there are plenty of people who suffer from bafflement when faced with a cricket scorebook. Android, though, can remedy that – there are plenty of scoring apps. Chief among which, in our opinion, is Android Cricket Scorer (Tim Carter, free), which lets you perform some whizzy stuff that you can't do with a traditional scorebook, such as produce wagon wheels for batsmen's innings. Despite the clunky name, Best Cricket Scorer (Ganapathy Subramaniam, free) is also worth checking out. And the excellently named Criculator (Sanket M Sheth, free) also doubles as a handy ball-counter for umpires – in case you've forgotten your pocket-full of stones or coins.